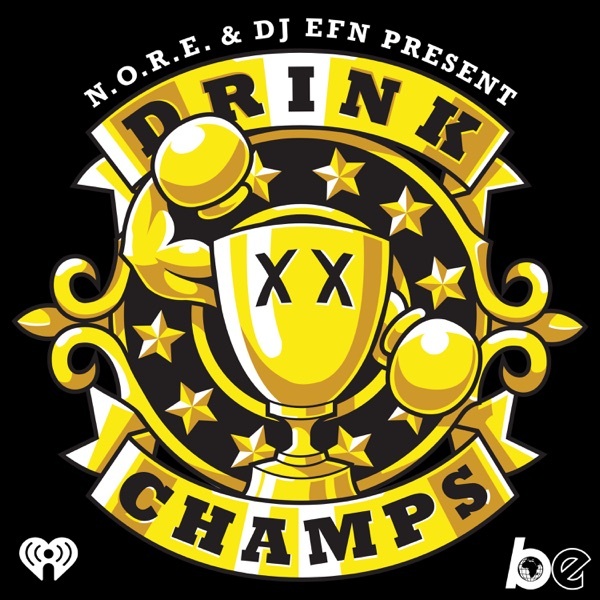 N.O.R.E & DJ EFN are the Drink Champs. On this episode the Champs sit down with the Legendary and controversial group DeLa Soul. They talk about their legal issues with Tommy Boy records, early beginnings with the Native Tongues crew and much more. Episode 133 "Live at The Roots Picnic"
Episode 126 w/ Royce da 5'9"
Episode 122 "Celebrating 2 Years!" Epsidoe 119 "Drink Champs Reloaded"
Episode 99 "Estamos Con Puerto Rico"
Episode 79 "Moments Part 3"
Episode 73 "Moments Part 2"
Episode 62 "Moments (Part 1)"